Enjoy Turkey travel photography and fall in love with Turkey tourism. Visit Ephesus, Turkey. 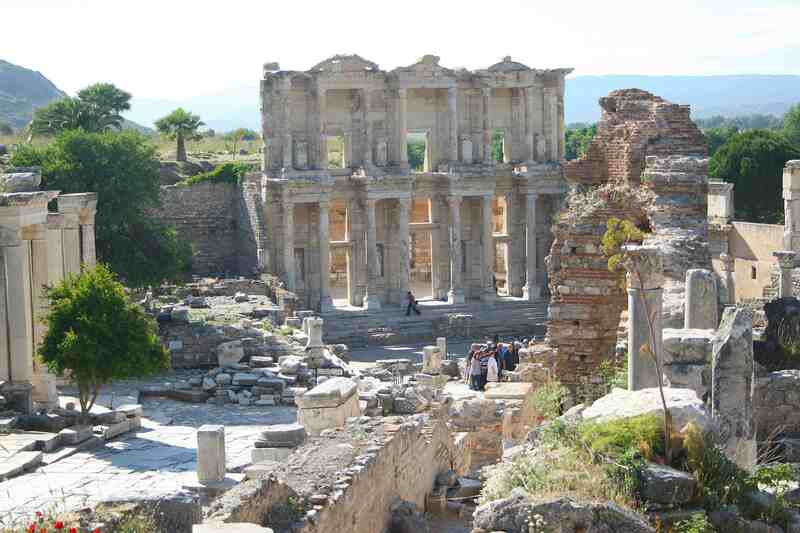 Ephesus and the Ruins of Ephesus is a spectacular place to take travel photographs. Ephesus Turkey had a population of 250,000 in the 1st century A.D. and St. Paul himself was said to have traveled to the Ancient City of Ephesus, which was once the capital of Asia Minor with the Virgin Mary. From the top of the hill, the ancient roadway sweeps you down amongst the ruins of towering pillars to the crowning jewel of the site, the Celsus Library. Enjoy more of my photos of Ephesus. Welcome photo lovers, travel enthusiasts and fellow bloggers to Traveling with Krushworth. Much as there are my photos from Great Britain, Cambodia and Turkey, follow me across Great Britain and Turkey with my YouTube travel show Traveling with Krushworth Happy travels! Here’s a video teaser to your left.